The best line in the Soshal Network’s viral “Etiquette for Social Climbers” article? “Always remember you only patronize original, authentic, and genuine products…except yourself." 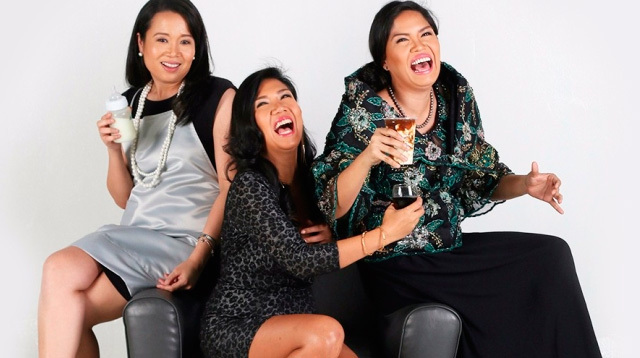 “Hindi namin alam kung madaming natamaan sa post namin kasi 'di sila umamin,” share the three bloggers, Provinciated, Domesticated, and Sophisticated, lawyers who decided to put up the blog on a whim after a dinner led to a funny conversation that they just had to share to the world. From there, the blog has exploded, thanks to its tongue-in-cheek send-up of the social climbers in our midst. “May pagkaiba ang soshal sa soysal, ha,” clarify the bloggers. “Dun kami sa soshal. Ang tunay na soshal, hindi nahihiya sa estado niya.” Their advocacy is to make everyone embrace their inner soshal—those who aren’t afraid to live life to the max and poke fun at their own limited budgets. Soshal, diba?